It's easy to overlook sewage and sewage disposal when preparing for a survival situation. If we think about it this is actually odd because we all need a way to get rid of sewage every day. And since we're not like a wild animal the areas we can get rid of sewage is limited – mainly a toilet or outhouse. This still will be the same reality we'll have to face during a survival scenario. Going to the bathroom is a constant thing for any human, except what we produce is going to have to go somewhere else. In many survival situations sewerage systems are compromised and traditional septic tanks just don't have a long enough shelf life. 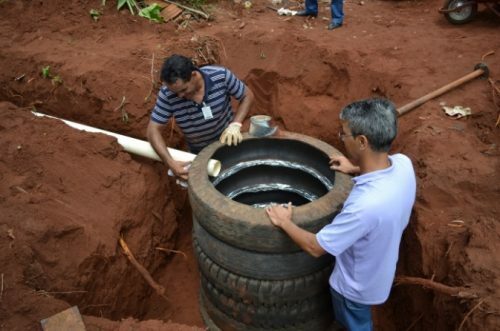 This smart sewage system utilized tires and gravel and more. On the next page check out which materials are instructions are needed to create a backup sewage system for a home.